I’ve been reading a lot lately. I think it’s been in reaction to an increase in workload, which has left me clambering for the best kind of immersive entertainment I know. Novels. Lots and lots of novels. In October I read ten novels — most of them weren’t very big novels… which meant I tried to read some of them in a single sitting and forgot to go to sleep until the birds came up. Ahem. This series and me go way back. I’ve read the first three several times — they’re a light-hearted fantasy romp about what happens when Alec (innocent youth, master bowman, heart of gold) meets the worldly Seregil (outcast ‘fae, master of disguise, bard and royal spy) and the two get embroiled in saving the world (or the land at least). Subsequent books in the series follow Alec and Seregil’s various adventures in the service of the queen as ‘Nightrunners’, which are the fantasy equivalent of James Bond (minus the women and guns). 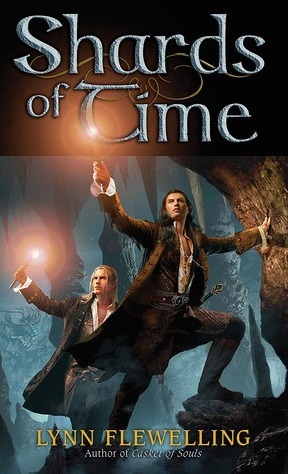 Shards of Time is evidently the last in the series, and follows these two indomitable fellows and other companions to investigate the mysterious deaths of the queen’s governor of some nearby island, along with reports of ghosts and other weird things. It’s quite fun, although I don’t think I’m as entranced by the series as I once was. But the big bad is sufficiently nasty and most of the cast of the previous books get to play, so it’s a fitting conclusion. The book also really reminded me of certain D&D scenarios… for one thing, in our group of companions we have archetypes that pretty much map to certain D&D classes: rogue (Seregil), ranger (Alec), fighter (their friend Micum), wizard (their other friend Thero). And each seems to perform their defined role. And some of the situations (should we explore the cave? question the witness?) seemed D&D familiar as well. Huh. This recently released debut novel from Australian author Alis Franklin is an urban fantasy steeped in Norse mythology, geek culture and queer romance, set in a made-up Australian city a bit reminiscent of Canberra (but not really — it could have been set anywhere in the world). 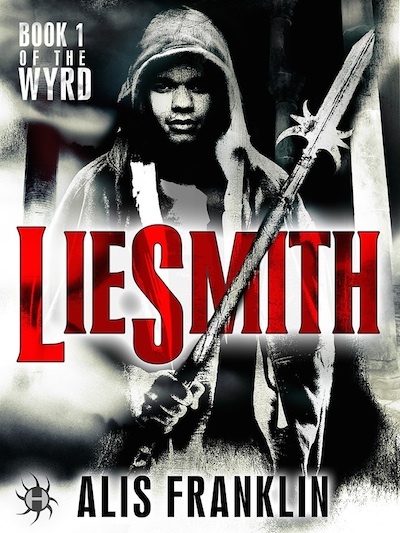 But it’s a bit hard to talk about Liesmith too much without giving anything away… There are some great plot twists and turns, with two interesting and likeable main characters, fantasy gaming, Norse gods and corporate culture. On the relationship side of things, the main message is that love happens due to a connection between individuals that transcends external factors such as gender, sexuality or even physical appearance. It’s actions and courage and loyalty that are important. This I like. The narrative voice is also very unique and engaging. I enjoyed this novel a lot. Like several books I read this month, it kept me up into the early hours of the morning. There will apparently be more in the series. There are five books in the historical-supernatural-mystery-queer romance Whyborne & Griffin series and I read them all, one after the other. 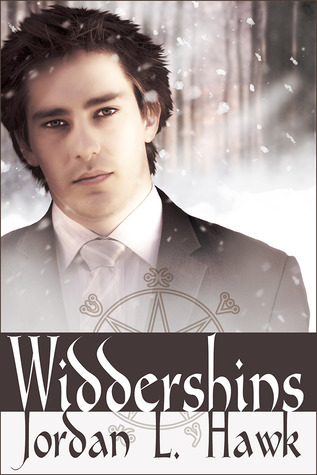 Set predominantly in the (presumably) fabricated US town of Widdershins in the early 20thC, the series is narrated by Percival Endicott Whyborne, estranged second son of a rail magnate and scholar of ancient languages working at the local museum. He’s engaged by charismatic private investigator Griffin Flaherty to translate a book that’s a clue in a murder he’s trying to solve. And so it begins. In the first book, Widdershins, Whyborne and Griffin deal with a secret occultist group, resurrection, ancient Egyptian artifacts and hideous monsters while thwarting plans that might destroy the world… Whyborne is introverted and repressed, highly intelligent, and fascinated from the start by Griffin, who keeps on inviting him to lunch and to help with his investigation. The URST between them sparks until they finally crack and then it’s incredibly passionate and sweet. Threshold (book 2) takes place in a small mining town where they go to investigate some company issues at the behest of Whyborne’s father. Stormhaven (book 3) sees them back in Widdershins infiltrating a dodgy mental asylum and pretending not to be lovers to satisfy Griffin’s visiting family. Necropolis (book 4) sees them head to an Egyptian archaeological dig with their friend Christine (who works with Griffin and is present in all the adventures) and contend with plans to resurrect an ancient Egyptian deity. Bloodline (book 5) is also set in Widdershins, and makes some startling revelations about the ancestry of Whyborne’s family. The series is a lot of fun, with each of the books featuring an excellent combination of mystery and adventure — usually with monsters and archeology and magic. The two main characters of Whyborne and Griffin are wonderfully complementary to each other and their relationship develops beautifully. I guess the fact I read all five in swift succession tells its own story. What moved me about this book is the amazing courage and strength of Archie, who has a wonderful moral code and stands up and strives for what he believes in. He’s willing to change his mind about things too, when new facts present themselves — like his opinion about Daniel (which starts off very negative) and his own sexuality. And he shows such a depth of caring for Daniel when the latter is in serious trouble that tells you everything you need to know about his feelings, even if he hasn’t quite admitted it to himself. 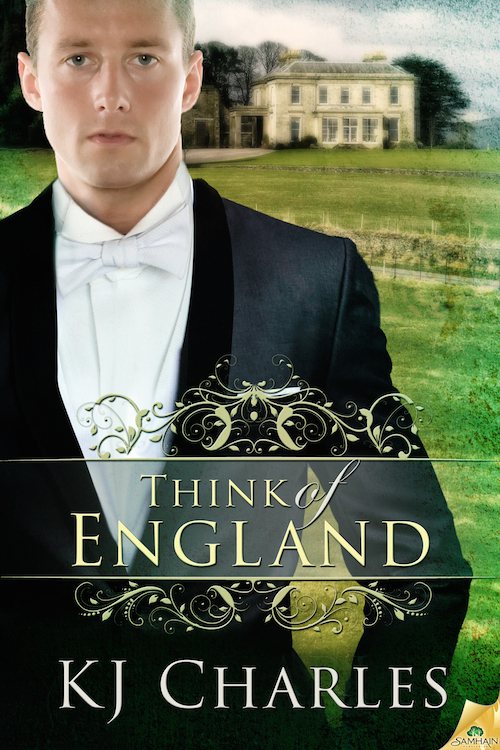 Because I loved Think of England so much, I checked out the first two in KJ Charles’ popular ‘A Charm of Magpies’ series. These are historical-fantasy-mystery-m/m, set in London in the early 20thC (this period seems rather popular with this genre). 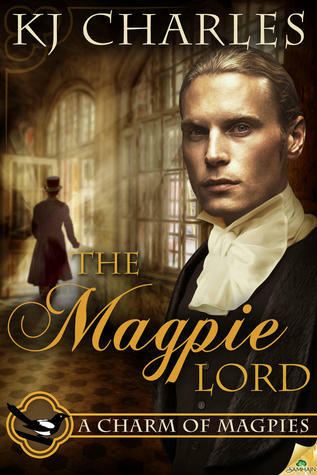 In The Magpie Lord, Lucian, Lord Crane, has returned to take up his unexpected inheritance in England after spending two decades as an exile in China. But the curse which killed his despised father and brother now seems to be attacking him, so he engages a ‘shaman’ or ‘practitioner’ to deal with it. Enter Stephen Day. The Magpie Lord is a really interesting story, infused with the flavour of Shanghai along with a fascinating English subculture of these practitioners, who channel etheric energy. Stephen uncovers a deep and dastardly plot against Crane, which unfolds nicely as the book progresses. I wasn’t quite as taken with the relationship between Crane and Stephen, though. For one thing, it comes across as very unequal in this first book. Stephen is a hot shot practitioner, very powerful, but in almost every other way he’s dominated by Crane and this is not what I’ve come to expect in m/m relationships. Nor was I as emotionally engaged with either character, but particularly Crane, which I’m going to put down to this being the author’s first novel. However, she redeemed herself in the second book, A Case of Possession. This one is entirely in Crane’s point of view (rather than swapping erratically) and I feel we get deeper into his psyche and he becomes a lot more sympathetic as we learn of his vulnerabilities, particularly when it comes to Stephen. The story has more mystery and magic and monsters in the form of giant deadly rats! Thus ends a mammoth summary of my October reading. Must say I feel like I’m on a train and I can’t jump off. Give me more more more! I find it fascinating I’m still reading so much m/m fiction. There’s something about it that has captivated me. On the whole it’s fairly well written — with gripping adventures and a lots of fantasy as evidenced by this selection. Clearly the romance genre in general has come a long long way since those one-dimensional Mills & Boon novels I once read as a teenager. Queer romance certainly has multi-dimensional characters and adventurous plots. It’s been a perfect foil for a heavy workload. P.S. In the car, I abandoned Jane Austen’s Emma. Really did not like it at all. Moved onto Persuasion, which is much better. Currently about halfway through. Wow, that’s a huge amount of reading! Wish I could read that fast, especially in my thesis reading. Hope you enjoy Liesmith – it’s pretty cool! These all sound really interesting. I’m trying to read less this month because I’m doing NaNo, but sometimes I just can’t help it! Good luck with NaNo! I’ve only ever attempted it once and it was very full on. But you definitely need down time. One of the reasons I read so much in October, was because I needed the relaxation after too much work. Hope you enjoy the second Nightrunner book.